The vision for the West Central Park Neighborhood Center is a walkable, vibrant retail center. Ms Elliott, the founder and CEO, is now in the process of restoring seven of the properties one by one. Her goal is to create a unique and local shopping experience that borders a community park and is completely served by wide sidewalks leading to low density neighborhoods all around, along with a high frequency local transit line. When the West Central Park Neighborhood Center is complete, it will be a community centered, pedestrian and bike friendly retail shopping experience for the surrounding neighbors. Situated near many single family homes, the WCPNC affords local residents a unique opportunity to gather and to get to know each other better, simply by walking a few blocks. 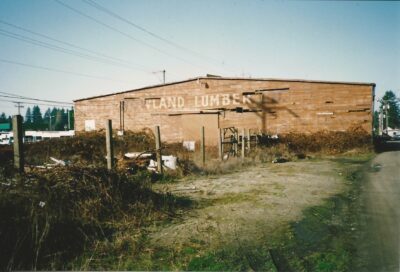 Between 1869, when the first bridge connecting Olympia’s Downtown to it’s West Side was built, and 1997, when Rowland Lumber Company was demolished, the history reports of what went on at the Harrison and Division corner are vague. 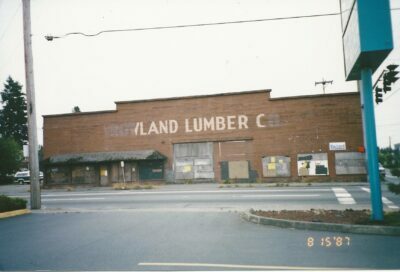 Local residents say that Rowland was built in 1926 and operated until the early 1980’s when it finally shut it’s doors. 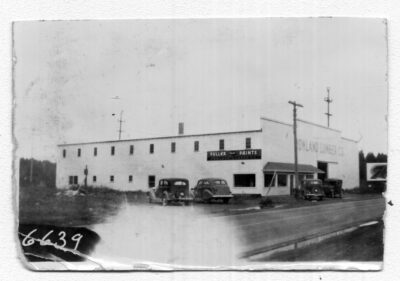 It's next resident, a local business called The Treasure Chest, set up shop in the building until 1985 when the building was finally abandoned once and for all. The empty building caught fire in 1997 and the remaining dismal appearance caused the city to help fund it’s demolition in September of that year. Soon after demolition was completed, the property was purchased by a local Olympia resident who made several attempts to sell the property commercially over the next 16 years to several major gas station and convenience store developers. However, the attempted sales received harsh criticism from the local community and the project was finally abandoned in mid November 2012, leaving the property up for sale again. Finally on December 3, 2012, the vacant corner lot was purchased once and for all to make way for the West Central Park Project and the future home of the West Central Park Neighborhood Center. Moving forward, the new vision for this block is to create a vibrant neighborhood space that is welcoming to all and fosters a strong sense of local community. As we move ahead with new projects, ongoing meetings with both city officials and concerned neighbors are allowing for a slow, phased development. The WCPNC welcomes commentary and participation from the community and the city on all levels of this project’s development. For more information or to share your questions, comments, or concerns, please feel free to contact us!